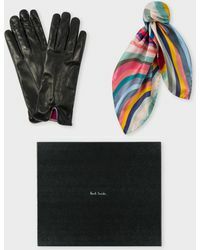 Famed for its colourful designs and dramatic flair, British brand Paul Smith has been delighting fashion-forward women with its sophisticated accessories since its launch in 1970. 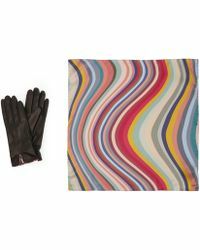 Founded by Paul Smith, the designer created instantly recognisable pieces due to his signature swirl print. 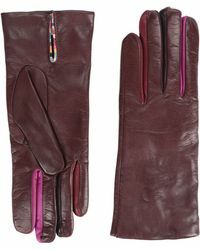 Since then, the brand has expanded into homeware and fragrance delighting fans with elegant pieces that complement the clothing and accessories collection. 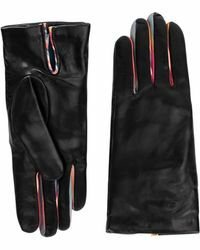 Blending quality craftsmanship with its signature swirl prints,thisedit of Paul Smith gloves boasts designs for every occasion. 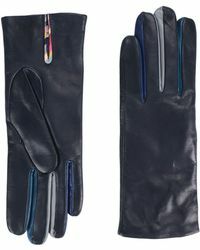 Classic colourways are punctuated with statement prints in rainbow hues to create a contemporary collection of gloves designed to elevate your work-to-weekend wardrobe. 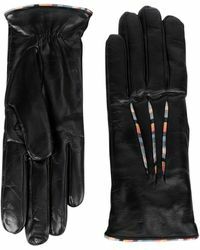 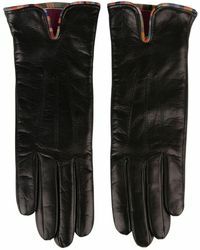 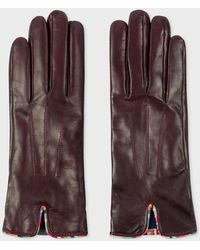 Explore this collection of Paul Smith gloves and invest in a statement accessory today.